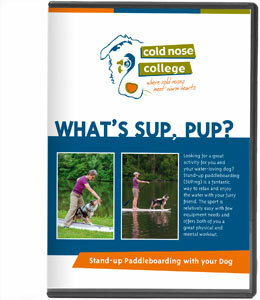 Learn from CNC dog training professors whenever the mood strikes with our dog training videos! 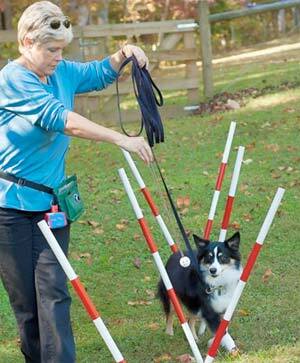 Our professionally produced do-it-yourself dog training videos provide expert advice and easy steps for how to train your own dog—so you can train whenever you feel like it. Did we mention they’re fun, too? 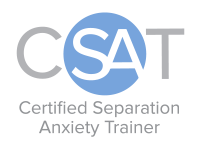 Our videos are available to purchase from Tawzerdog! Just click the video. Contact us with any questions! 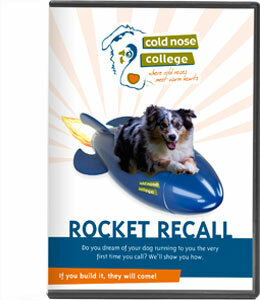 Based on our popular weekend workshop, you can now train a rocket recall at home. Want a dog who’s always ready for anything? Who actually looks at you when you speak to her? We can’t think of a better way to get exercise and have fun with your dog. Ready, Set, Jump into Dock Diving! The perfect sport for any water-loving dog! 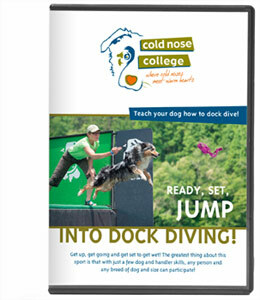 Whether you want to compete or just have some summer fun, we’ll show you how to get your dog launched.